Bangor University was placed amongst the world’s top 300 universities in the Times Higher Education World University Ranking 2012-13. It is ranked 54th in 'The Complete University Guide 2014: University Subject Table for Business & Management Studies'. 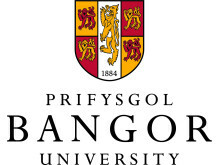 Bangor's University's Business School is also amongst the top 15 institutions in the world for research in the field of Banking (as of October 2013 by RePEc) Have a chat with Mr. Stephen Jones, Director of Business Relations of Bangor Business School. He'll be coming down to Singapore for this EXCLUSIVE upclose and personal preview session! Programmes offered: Master of Business Administration in Banking and Finance - http://bit.ly/1hom2Ij Master of Business Administration in International Marketing - http://bit.ly/1lYpXde Bachelor of Science (Hons) in Business Studies and Finance - http://bit.ly/1ibmtn6 Bachelor of Science (Hons) in Banking and Finance - http://bit.ly/1oL5qZj Now accepting applications for July 2014. For more information or one-to-one consultation, call us at 6247 9111 / 6372 1000 or email etc@mdis.edu.sg.